On 31 October 1987, a last-minute extra time goal in a replay gave Peñarol their fifth Copa Libertadores title. The Uruguayans had reached the final eight times previously and won it four times (1960, 1961, 1966, 1982). And they had impressed on their road to the 1987 final, topping defending champions River Plate and seven-time winners Independiente in their semifinal group. They were up against Colombian side América de Cali, who were making their third consecutive appearance in the final after having fallen to Argentinos Juniors (in a penalty shootout) in 1985 and to River Plate in 1986. The two teams were unable to decide a winner in the first two legs, with América winning 2-1 in Colombia and Peñarol getting a 1-0 victory in Uruguay to force the replay. Playing at the neutral Estadio Nacional in Santiago, Chile, there was little to separate the teams over the first 90 minutes, or even through extra time. A penalty shootout looked certain when Peñarol striker Diego Aguirre (pictured) lashed a left-footed blast past the América goalkeeper in the 120th minute. The win placed them two behind Independiente in the list of the tournament's all-time winners, though Boca Juniors passed them with a sixth title in 2007. Both Peñarol and América returned to the final once more, but lost both times (Peñarol in 2011 and América in 1996). On 30 October 2010, Juventus trequartista Alessandro del Piero scored the match-winner against Milan. It was his 179th Serie A goal for the Bianconeri, setting a new club record. Del Piero joined Juventus from Padova in 1993. Initially playing as a traditional striker, he opened his goalscoring account that September in only his second appearance, then garnered a hat-trick in his first start. Juventus went on to win the Scudetto that season, one of five league titles for del Piero, who has also collected four Italian Super Cups, one Coppa Italia, and a Champions League trophy (as well as the 2006 World Cup with Italy). He scored 20 goals in the 2006-07 season, but they didn't count toward the Serie A record as Juventus had been relegated in response to the Calciopoli scandal. Although several high-profile players left the club prior to the relegation, del Piero stayed and captained the club back to the top flight at their first opportunity. In the match against Milan at the San Siro on 30 October 2010, del Piero's 65th-minute goal proved to be the decisive one as it put Juventus up 1-2, which is how the day ended. It broke the club's previous Serie A record tally, set by Giampiero Boniperti from 1946 to 1961. Before retiring in 2012, del Piero pushed the record to 208 goals, with a total of 290 in all competitions. Labels: Alessandro Del Piero, Giampiero Boniperti, Juventus F.C. On 29 October 1975, Czechoslovakia and England met in a European qualifier that lasted only 17 minutes before a heavy fog forced its cancellation. And they weren't even playing in London. At the time, the two sides were first and second in their qualification group. England were on top with seven points from four matches (wins were worth two points), while the Czechs were three points back with a game in hand. They had already played once, with England winning 3-0 at Wembley. Czechoslovakia hosted the return fixture at the Tehelne polé stadium in Brataslava. But a heavy fog rolled in and impaired visibility so badly that referee Alberto Michelotti had no choice but halt the proceedings after only 17 minutes. It was only the second time in England's history that they had to abandon a match (the first was 1953 when rain stopped a friendly against Argentina). The match was scoreless when Michelotti called it off, so they restarted from scratch the next day. The Czechs won 2-1, handing England their first loss under manager Don Revie. It proved to be a decisive result, as Czechoslovakia went on to qualify from the group, finishing one point ahead of England, then proceeded to win the tournament. On 28 October 1865, Arthur Wharton was born in the city of Jamestown on the Gold Coast. He went on to become the world's first black professional footballer. In 1885, he began his footballing career as an amateur goalkeeper for Darlington and moved to Preston North End the following year. In 1889, after a brief time away from football to focus on running, he returned to the sport, signing a professional contract with Rotherham Town. He later played for Sheffield United, where he became the first black player to appear in an English First Division match. By the time he retired in 1902, he had also played for Stalybridge Rovers, Ashton North End, and Stockport County. After football, he spent time as a haulage hand, but continued to run and play cricket. Sadly, he died a pauper in 1930 and was buried in an unmarked grave. He eventually received a headstone in 1997, thanks to an anti-racism campaign led by the Football Unites, Racism Divides project. In 2003, he received a posthumous induction into the English Football Hall of Fame in recognition of his status as a pioneer. Labels: Arthur Wharton, Darlington FC, Rotherham Town FC, Sheffield United F.C. On 27 October 1906, Leeds City forward David "Soldier" Wilson died of an apparent heart attack during a match against Burnley. He was 23 years old. Wilson had debuted for Leeds only the previous December, after transferring from Hull City for a fee of £150. A gifted passer, he proved also to be a prolific scorer, tallying 13 goals in 15 games that first season, enough to make him the club's top scorer. Injuries plagued him, though--he missed eight matches at the end of the 1905-06 season and missed a few others at the start of the next one. By the time Leeds hosted Burnley at Elland Road in October, Wilson had appeared in a total of five matches that fall and had not scored in any of them. It was a physical match, with Leeds inside-left Jack Lavery taking a knock that greatly reduced his effectiveness. Then, after 60 minutes, with the match scoreless, Wilson withdrew to the locker room complaining of heavy chest pains. About 15 minutes later, another injury forced Leeds left winger Harry Singleton to retire from the match. With Singleton out and Lavery still hurt, Wilson decided to return to the pitch despite his own pain and against the advice of others. The Yorkshire Evening Post later reported that "Though his chest was very sore, Wilson said he could not remain there while the Leeds City team were in such straits." After only a few minutes, the pain became so great that Wilson again withdrew. He stepped into a hot bath, where he soon lost consciousness, then died from what was later diagnosed as heart failure. The match was still in progress, with Burnley taking a late goal to win 0-1. 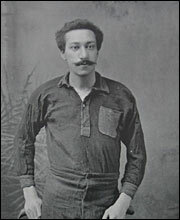 Prior to Wilson's death, at least six other footballers had died from injuries sustained while playing, but he was the first to die during a match. His wife later laid much of the responsibility for his death on cigarettes, noting that had been a very heavy smoker. Labels: Burnley F.C., David Wilson, Harry Singleton, Jack Lavery, Leeds City F.C. 26 October 2010 - Maybe He Was 100% Wrong, Ever Think Of That? On 26 October 2010, Paul, the world's most famous psychic octopus, died of natural causes. He was two and half years old. Housed at the Sea Life Center in Oberhausen, Germany, Paul first rose to prominence by picking his host country to win all of their matches at the UEFA Euro 2008 tournament. 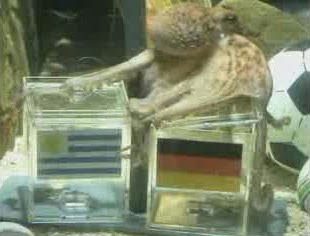 He chose the winner by selecting food from one of two clear plastic boxes placed in his tank, one box bearing the German flag and the other with that of Germany's opponent--the country whose flag was on the box containing the food he selected was predicted to be the winner. For that tournament, he successfully picked Germany as the winner in four out of six matches. Paul used the same methodology for Germany's matches in the 2010 World Cup. Unlike the previous tournament, however, Paul did not predict Germany to win every match, correctly calling losses to Serbia in the group stage and Spain in the semifinals. But he got every other match correct, including Germany's win over Uruguay in the third-place match. With Germany eliminated, Paul's handlers asked him to pick the winner of his first match that didn't involve the Germans--the final between Spain and the Netherlands. Again, Paul chose correctly, tipping Spain to lift the trophy. That result meant that he accurately selected the winner in all eight predictions for the tournament. With a 50/50 chance of guessing each winner, the probability of Paul's predictions was 256 to 1. 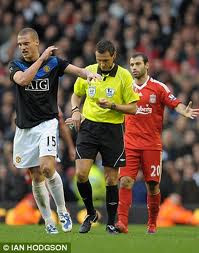 On 25 October 2009, Manchester United center back Nemanja Vidić received a 90th-minute red card against Liverpool--his third ejection in three consecutive games against the Reds. In both of the teams' meetings the previous season, Vidić failed to make it to the final whistle and both ended as Liverpool victories. The first, at Anfield in September 2008, saw the defender receive a second yellow card in the 90th minute as the Reds edged to a 2-1 win. In the return fixture in March, he drew a straight red for a 76th-minute foul on Steven Gerrard, who had gotten through on a clear goalscoring opportunity. Liverpool won 1-4. Things got no better for Vidić in the next meeting. Playing at Anfield, Fernando Torres put the hosts up 1-0 in the 65th minute after fending off pressure from Rio Ferdinand and driving the ball over Edwin Van der Sar into the roof of the net. Ten minutes later, Vidić earned his first yellow card of the day. His second came in the 90th minute. With Dirk Kuyt about to blow past him to latch onto a deep ball, the Serbian defender delivered a flying challenge that stopped Kuyt cold. Referee Andre Marriner then produced a yellow and a red card in quick succession. (It was the first of two reds on the day, as Javier Mascherano joined Vidić with a stoppage-time exit.) And David N'Gog's strike in the sixth minute of stoppage time sealed the 2-0 win for Liverpool. On 24 October 1984, Argentinos Juniors won the Copa Libertadores, beating América de Cali on penalties in a replay. It was the first appearance in the tournament final for both teams, who battled to separate 1-0 home victories in the first two legs to set up the decisive replay. Playing at a neutral location in Ascunción, the Argentinians went ahead with a 37th-minute goal from midfielder Emilio Commisso. But the Colombians equalized five minutes later with a booming header from forward Ricardo Gareca (Gareca was himself an Argentine, and was in his first season with América after spending the first seven years of his career in Argentina, primarily with Boca Juniors). Regulation ended 1-1, sending the match into a penalty shootout. After four kicks each, the teams were even at 4-4 when América striker Ántony de Ávila stepped up for his attempt. Unfortunately for América, he sent the ball toward the center of the net for an easy save. The decisive kick then fell to Juniors midfielder Mario Videla, who placed it neatly in the bottom right corner for the win. It remains the only appearance in the final for Argentinos Juniors. América, meanwhile, returned to the final three more times (1986, 1987, 1996) and lost each time. On 23 October 2010, Peruvian forward Claudio Pizarro became the Bundesliga's all-time leading foreign goalscorer with a strike against Borussia Mönchengladbach. Pizarro moved to the Bundesliga in 1999 with Werder Bremen, then moved to Bayern Munich in 2001. Between the two, he scored 100 league goals before moving to Chelsea in 2007. His time in London was brief, however, as he returned to Werder Bremen on loan in 2008, then on a permanent transfer in 2009. 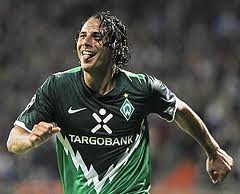 His second spell in Bremen started successfully, with the club winning the DFB-Pokal and reaching the UEFA Cup final in 2009, then finishing third in the league in 2010. But they struggled at the start of the 2010-11 season, winning only three of their first eight matches when they traveled to Mönchengladbach. At the time, Pizarro was tied with his former Bayern teammate Élber Giovane as the league's record foreign goalscorers with 133 each. The match was no contest. After only 12 minutes, the visitors were up 0-2 with goals from Marko Marin (5') and Wesley (12'), then Aaron Hunt stretched the lead to 0-3 in the 51st minute. The hosts got a slight lift when Werder center back Per Mertesacker put the ball into his own net in the 67th minute, but Pizarro restored the margin with his record-setting strike in the 75th minute. It was a rare bright spot in the season for Werder, who finished in 13th place. Pizarro, who is in his fourth spell with Werder Bremen, has a current tally of 190 Bundesliga goals, making him the fifth highest scorer in league history. On 22 October 1969, AC Milan won their first Intercontinental Cup in a match that one paper described as "the culmination of all that is evil in international club soccer." It was the second leg of the competition between European Cup champions Milan and Copa Libertadores winners Estudiantes. The Argentinians faced an uphill battle, as the Intercontinental Cup had just moved away from a points system to an aggregate score model and the Italians had won the first leg 3-0 in Milan. The return leg at La Bombenera became hostile even before the opening kick-off: Estudiantes players kicked balls at the visiting team during warm-ups and some of the 45,000 spectators reportedly dumped hot coffee on the Milan players as they took the pitch. But the situation grew worse in the 17th minute, as Milan striker Pierino Prati--who had scored a hat-trick in Milan's 4-1 win over Ajax in that year's European Cup--suffered a mild concussion and was briefly unconscious. He managed to play on until the 37th minute, when he was replaced by Giorgio Rognoni. By that time, Milan had extended their aggregate lead to 4-0 with a 30th-minute goal from captain Gianni Rivera. It wasn't all good for Rivera, though, who was on the receiving end of a punch from Estudiantes goalkeeper Alberto Poletti. Poletti also delivered a kick to the face of Milan's Argentina-born French striker Nestor Combin (pictured), who suffered a broken nose and cheekbone thanks to an elbow from Estudiantes defender Ramón Aguirre Suárez. (Combin ended up spending the night in jail, charged with evading obligatory Argentinian military service, but eventually managed to convince the authorities that he had completed his service in France, where he was a citizen). Estudiantes managed to score twice before the break (including a goal from Suárez), but were unable to close the gap and lost 4-2 on aggregate. 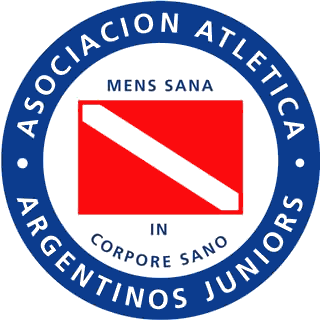 Afterward, faced with harsh criticism from the international football community, including the Guardian report quoted above, the Argentine Football Association issued several punishments: Poletti received a lifetime ban, Suárez got a 30-game suspension and a five-year international ban, and defender Eduardo Manero received a 20-game suspension and a three-year international ban. All three of them were arrested and sentenced to 30 days in jail. 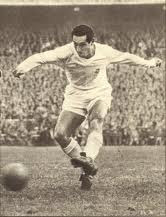 On 21 October 1933, Real Madrid striker Francisco Gento was born in the Guarnizo district of Cantabria in northern Spain. By the time he retired, he was the club's all-time appearances leader and he remains the only man to win six European Cups. An outside left forward, he started his professional career in 1952 with Racing Santander, but moved to Real Madrid for the 1953-54 season. He started slowly there, with no goals in 21 appearances that season, but earned his first silverware as Real Madrid won the league for the first time in eleven years. The honors flowed regularly after that, with another league title in 1955 and the first of five consecutive European Cups in 1956. In 1957, he scored in Real's 2-0 win over Fiorentina (video below), then provided the 107th-minute match-winner against Milan in 1958. After the five-time streak, Real returned to the final on the losing side in 1962 and 1964, then won it for a sixth time in 1966. Gento, who captained the side in 1966, was the only person to play for Real Madrid in all six wins, making him the only person in history with six European Cup titles to his name. Upon his retirement in 1971, he had made a total of 599 appearances for Real, making him the club's appearances leader at the time, though his tally has since been surpassed by four others. he moved into management briefly--for Castilla, Castellón, Palencia, and Granada--before becoming a European ambassador for Real Madrid. Labels: Francisco Gento, Real Madrid C.F. A 1-1 Olympic quarterfinal draw between Bulgaria and Israel on 20 October 1968 resulted in FIFA's adoption of penalty shootouts. The two teams met at the Nou Camp in León, Mexico. It was a heated affair, with referee Michel Kitabdjian issuing six cautions in the first minute (three to each team). In a battle of prolific attacks, Bulgaria took an early lead with a 5th-minute goal from an unlikely source, Slavia Sofia defender Georgi Hristakiev. For the next 84 minutes, Hristakiev played a more traditional role as Bulgaria managed to stifle Israel. But Yehoshua Feigenbaum eventually cracked the Bulgarian defense, drawing Israel level in the 89th minute and the match ended at 1-1 after 90 minutes. In order to determine which team would advance, the rules at the time required the drawing of lots. Bulgaria won and progressed to the semifinals where they beat Mexico, 2-3. They then moved on to the final, losing to Hungary 4-1. After watching his team lose via lots, Israel supporter Yosef Dagan wrote to FIFA, suggesting they resolve draws with a penalty shootout. FIFA adopted the proposal in 1970. 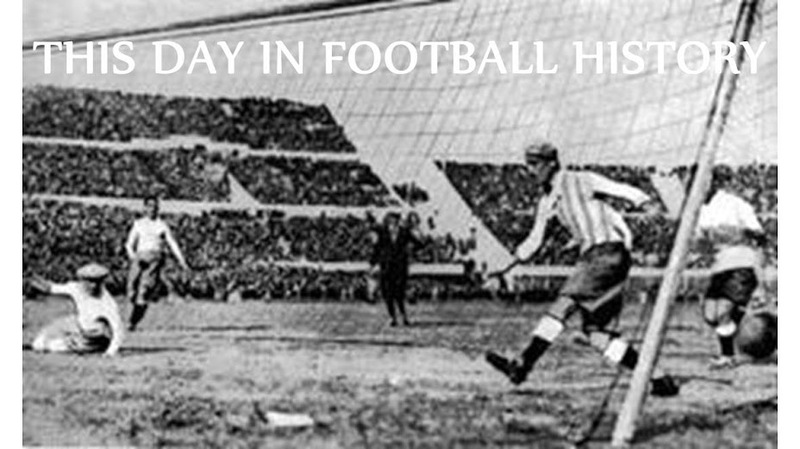 On 19 October 1908, Denmark played their first official international, beating France 9-0 in the opening match of the Summer Olympics. The Danish Football Association formed in 1899, but waited several years before forming their first international squad. In 1906, an unofficial Denmark team composed of players from the Copenhagen Football Association participated in--and won--the 1906 Intercalated Games (an informal version of the Summer Olympics) by beating an Athens team 9-0. They followed up by registering their first official side for the 1908 Summer Olympics. There were two matches scheduled for the tournament's opening day, but Hungary withdrew from their game against the Netherlands for financial reasons. As a result, Denmark and France contested the first official Olympic international. Denmark reached the tournament final, but lost to Great Britain 2-0. 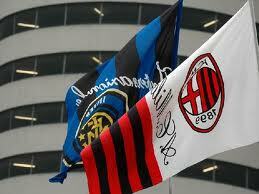 On 18 October 1908, AC Milan and Inter played the first Milan derby. In Switzerland. The match came just over seven months after Inter's formation. They had previously been part of AC Milan, but split in March 1908 over a dispute about the propriety of signing foreign players (Inter favored it, hence the adoption of "Internazionale" as their name). The first meeting between the two clubs came in the Coppa Chiasso, a tournament played in the the Canton of Ticino in southern Switzerland. Milan won the first two editions, played in 1906 and 1907, which consisted of three and four teams, respectively. For the 1908 tournament, the field expanded to six teams, including the newly formed Inter. The two Milanese teams reached the final which Milan won 2-1. Since then, the two clubs have met a total of 216 times. Of those, Inter won 77 and Milan won 75, with 64 draws. 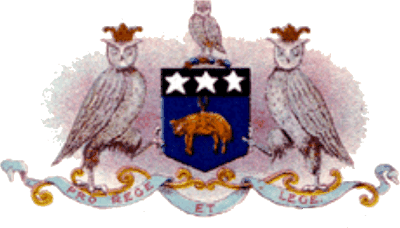 On 17 October 1919, Leeds City FC held an auction to dispose of the club's assets, including the players. They all sold, at prices ranging from £1,250 to £100. The auction was the result of a scandal that saw the club expelled from the Football League. Earlier that summer, Charlie Copeland, a disgruntled former Leeds City player who had recently moved to Coventry on a free transfer, publicly alleged that the club had made illegal payments to players during the war years. The Football League and the Football Association formed a joint commission to investigate the allegations and gave Leeds City a deadline of 6 October to produce their financial books. The deadline came and went, but the club refused to produce the documents. As a result, the League expelled them and the FA issued an order closing the club. Five club officials, including manager Herbert Chapman, were banned for life (though Chapman's ban was lifted after he provided evidence that he was not involved in the illegal payments). The Metropole Hotel in Leeds hosted the auction to dispose of the club's assets, including kits, training equipment, goalposts, and all sixteen members of the squad. Billy McLeod fetched the highest price, moving to Notts County for £1,250, with Harry Millership and John Hampson going for £1,000 each (to Rotherham County and Aston Villa, respectively). The lowest price was £100, paid by Lincoln City for Francis Chipperfield. Labels: Billy McLeod, Charlie Copeland, Francis Chipperfield, Harry Millership, Herbert Chapman, John Hampson, Leeds City F.C. 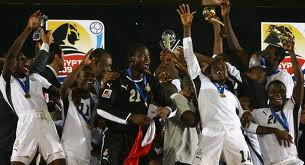 On 16 October 2009, Ghana won the U-20 World Cup, beating Brazil on penalties, 0-0 (4-3). And they did it despite playing most of the match with only ten men. It was the third appearance in the U-20 Final for the Black Satellites, who finished as runners-up to Brazil in 1993 and to Argentina in 2001. Brazil, meanwhile, had reached six previous finals and won four of them. In 2009, Ghana were led by striker Dominic Adiyiah, who had scored a tournament-best eight goals en route to the final, including an extra-time match-winner against South Africa in the Round of 16 and braces against Ghana's 3-2 victories over South Korea and Hungary in the quarterfinals and semifinals, respectively. Brazil had an extra-time victory of their own, needing a pair of late goals from winger Maicon to slip past Germany in the quarterfinals. In the final, played before a crowd of 67,814 at Cairo International Stadium in Egypt, was an ugly affair for the first half, with two Brazilians seeing cautions and Ghana defender Daniel Addo receiving a 37th-minute red card for a challenge on Brazil's Alex Teixeira. Brazil could not take advantage of the situation, though, and neither team managed to put the ball in the net during the first 120 minutes. Brazil went first in the penalty shootout and were up 3-2 after four kicks each. But Maicon, who had come on as a 75th-minute substitute, sent his shot high and wide, allowing Adiyiah to pull Ghana level. Ghana keeper Daniel Adjei then guessed correctly on Brazil's next kick to deny Teixiera. The last shot was taken by Ghana midfielder Emmanuel Agyemang-Badu, who coolly slotted the ball into the lower right corner for the win. 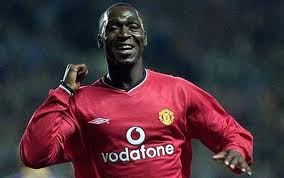 On 15 October 1971, striker Andy Cole was born in Nottingham, England. He went on the become the third-highest goalscorer in Premier League history. Cole began his professional career in 1989 with Arsenal, but played for a total of twelve clubs before his retirement in 2008. He stayed the longest at Manchester United where he scored 93 goals in 195 league appearances between 1995 and 2001. While there, he won five league titles, two FA Cups, and the Champions League. A prolific scorer, his best season was with Newcastle United in 1993-94, when his 34 goals made him the league's Golden Boot winner. Cole left Old Trafford in December 2001 for Blackburn and won the League Cup the following season. After spells at a number of other clubs in England, he ended his career with Nottingham Forest in October 2008. Along the way, he tallied 187 Premier League goals, behind only Alan Shearer (260) and Wayne Rooney (194). In 2000, several press outlets reported that Cole had asked to be called by his full first name, "Andrew," rather than the shortened "Andy," prompting a surprisingly vigorous discussion. He later claimed, however, that he had been misquoted and had instead just answered a reporter's question about what his full name was. Labels: Alan Shearer, Andy Cole, Manchester United F.C., Newcastle United F.C. On 14 October 1992, Dutch captain Marco van Basten made his last appearance for the national team in a World Cup qualifier against Poland. A persistent ankle injury ended his career shortly afterward. The match was only his 58th cap and came just over two weeks before his 28th birthday. Just four years earlier, he had starred for the Oranje in the European Championship, scoring a tournament-best five goals--including a hat-trick against England--as the Netherlands took the trophy. A disappointing early World Cup exit followed in 1990, however, with van Basten failing to find the net (the team scored only three goals in the tournament). In 1991-92, van Basten finished the season with AC Milan as Serie A's top scorer and won a handful of individual awards, including the European Footballer of the Year and the FIFA World Player of the Year. But he missed a critical penalty in the Netherlands' Euro 1992 semifinal against Denmark and the Dutch went out 2-2 (4-5). 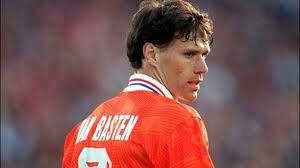 Van Basten hoped to turn the tide in the 1994 World Cup and captained the Netherlands for the start of their qualification campaign. But after only two matches, a 2-1 loss to Norway and the 2-2 draw with Poland, he missed the team's next two matches. Then, in May 1993, he suffered an ankle injury that forced him to sit out the entire 1993-94 and 1994-95 seasons and the 1994 World Cup. The injury never fully healed and forced his early retirement in 1995. Although he never played for Holland again, he did return to the team in 2004 as manager and spent four years in the role. On 13 October 1993, two former Yugoslavian countries reunited briefly for a football match, with Macedonia beating Slovenia 1-4. It was the first match in Macedonia's history, coming two years after both Macedonia and Slovenia declared independence from Yugoslavia. Slovenia got a slightly earlier football beginning, playing a total of four matches (a win, a loss, and two draws) before hosting the Macedonian team in Kranj. But although Macedonia's national football program may have gotten off to a slow start, the team did not, going up 0-1 in the third minute with a goal from striker Zoran Boškovski. They doubled their lead with a 37th-minute penalty kick from forward Darko Pančev. Pančev was Macedonia's highest-profile player, having moved to Inter the previous year after a four-year tenure with Red Star Belgrade where he was Europe's top scorer in the 1990-91 season and won both the European Cup and Intercontinental Cup in 1991. Another penalty kick followed from defender Čedomir Janevski (48'), then midfielder Dragan Kanatlarovski provided their final goal in the 51st minute. (Kanatlarovski went on to manage the team from 2003 to 2005). On 12 October 2003, Germany won their first Women's World Cup, beating Sweden 2-1 in the final with a golden goal from substitute Nia Künzer. The final continued a growing rivalry between the two teams. Sweden won their first meeting in a major tournament, beating the Germans in the 1991 FIFA World Cup third-place match, then again in the group stage in 1995. But since then, it had been all Germany, who defeated Sweden twice in the final of the UEFA Women's European Championship (1995 and 2001), took them out in the Euro semifinals in 1997 and beat them in the first round in 2001. 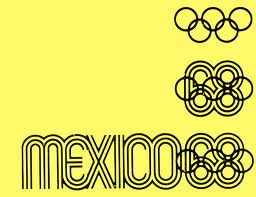 They also topped them in the group stage of the 2000 Summer Olympics. In the 2003 World Cup Final, played before a crowd of 26,137 at the Home Depot Center in Carson, California, Sweden played a strong defensive game, shutting down a high-powered German attack that saw them breeze through the group stage with a goal differential of +11. 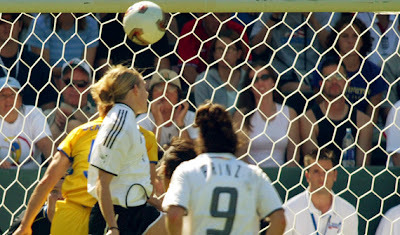 Although the German side included forward Birgit Prinz, the tournament's leading scorer with seven goals, she was repeatedly denied by Swedish goalkeeper Caroline Jönsson. Sweden took a surprising lead with a 41st-minute strike from forward Hanna Ljungberg, but the lead didn't last long as German striker Maren Meinert equalized in the 46th minute. That was the last score throughout the first 90 minutes, sending the match into extra time. There, defender-midfielder Künzer (pictured), who had come on in the 88th minute, scored a golden goal, beating Jönsson with a powerful headed ball that just cleared the keeper's outstretched hand. 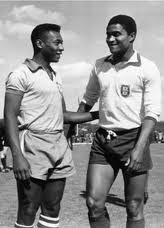 On 11 October 1962, Pelé won the battle of superstars, outdoing Eusébio with a hat-trick to lead Santos over Benfica for their first Intercontinental Cup. The contest matched Santos, the reigning Copa Libertadores champions, against European Cup winners Benfica. In the first leg, played at the Maracaña on 19 September, Pelé scored an 85th-minute match-winner with the final score of 3-2. In the second leg, played in Lisbon's Estádio da Luz, the striker picked up where he left off, opening the scoring in the 15th minute with a sliding tap-in from a low cross. Ten minutes later, he doubled lead with an impressive finish after avoiding two tackles, then blowing by a third defender. Santos stretched their lead to five after a goal from Coutinho (48'), another from Pelé (64'), and one from Pepe (77') before Benfica finally got on the scoresheet with an 85th-minute goal from Eusébio. Four minutes later, they cut the margin to 2-4 after a strike from Joaquim Santana (who had provided both of their goals in the first leg). But it was too little, too late for the Portuguese side as they fell to Santos, 2-5. It was the second time Benfica had conceded five goals in the Intercontinental Cup--they lost 5-0 to Peñarol in the second leg the year before, then fell 2-1 in the play-off. 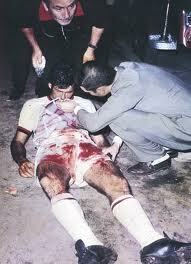 Santos had better luck in the competition, repeating as champions in 1963 by beating AC Milan. Labels: 1962 Intercontinental Cup, Coutinho, Eusébio, Joaquim Santana, Pelé, Pepe, S.L. Benfica, Santos F.C. 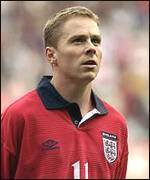 On 10 October 1999, two players got their first caps for England, but went on to very different international careers. The occasion was a friendly against Belgium, played at Sunderland's Stadium of Light. National team boss Kevin Keegan, then in his first year as manager, collected a team of veterans, including goalkeeper David Seaman, defender Tony Adams, and forward and captain Alan Shearer, each of whom had more than 50 England appearances at the time. But Keegan also included a couple of new faces in the midfield--West Ham's Frank Lampard and Leicester City's Stephen Guppy (pictured). Between the two, Guppy received the lion's share of pre-match attention, with one commentator calling him "one of the country's most gifted left-sided midfielders." The 30-year old Guppy played all 90 minutes as England won 2-1 with goals from Shearer (6') and Jamie Redknapp (66') (Belgium's lone strike was scored by Branko Strupar (14')). Lampard, who was 21, gave way to Dennis Wise in the 76th minute. The match turned out to be Guppy's only appearance for the England senior side, while Lampard went on to earn a total of 106 caps. The match did provide one unique distinction for Guppy, making him the only player to appear for England's U-21, semi-pro, B team and full side. 9 October 1866 - Don't Like The Word "Soccer"? Blame This Guy. On 9 October 1866, Charles Wreford-Brown was born in Bristol. Although he twice captained the English national team, his lasting legacy may be the invention of the term "soccer" to refer to association football. The Football Association formed in 1863 and quickly set about creating a set of rules for their game, which they called association football to distinguish it from the other types of football played at the time, such as rugby football. According to legend, Wreford-Brown was a student at Oxford when a group of fellow students invited him to play a game of rugby, which they nicknamed "rugger." He reportedly responded that he preferred "soccer" and the new name stuck. 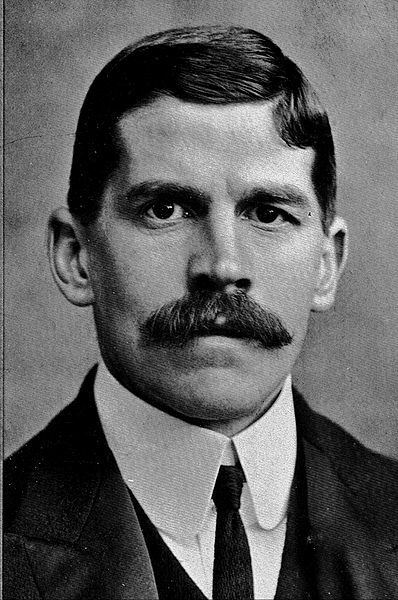 Wreford-Brown's love of the sport led him to play for England and he captained the team twice (in 1894 and 1895, both against Wales). He later served the sport in a legislative capacity, representing Old Carthusians and later Oxford in the Football Association. He also chaired England's international selection committee. The term "soccer" fell out of favor in England around the turn of the 19th century, but it continues to be used regularly around the world. On 8 October 2010, Japan got their first win over Argentina, beating them 1-0 in a friendly. It was the seventh meeting between the two teams. It was Japan's first match under their new manager, Alberto Zaccheroni, who had just come off a 6-month term with Juventus. His pre-Japan career also included spells with a number of other Italian clubs, including Udinese (1995-98), Milan (1998-2001), Lazio (2001-02), Inter (2003-04), and Torino (2006-07). Argentina, meanwhile, were playing their third match under interim manager Sergio Batista, who had replaced Diego Maradona after the 2010 World Cup. Argentina had won his two previous matches, over Ireland (1-0) and defending World Cup champions Spain (4-1). The Albiceleste fielded a full-strength side for the match against Japan, played before a crowd of 60,000 at Saitama Stadium. But despite the presence of prolific scorers Lionel Messi, Carlos Tevez, and Diego Milito, it was Japan who struck first, going up 1-0 in the 19th minute with a goal from Shimizu S-Pulse winger Shinji Okazaki (pictured, left), who pounced on the ball after goalkeeper Sergio Romero failed to hold on to it. Messi twice came close, but his 14th-minute and 30th-minute shots were stopped by goalkeeper Eiji Kawashima. He had another chance in the 75th minute, but fired the ball straight at Kawashima for an easy save. Not content to sit on the lead, Japan attacked the Argentine goal and had several opportunities to extend the margin. But Okazaki's goal remained the only one of the day as Japan claimed the 1-0 victory. On 7 October 1917, Denmark whipped Norway in a friendly 12-0 despite starting the match a man down. The imbalance was caused by Danish defender Johannes Hansen, who--for reasons that remain unclear--chose to get a pre-match haircut that delayed the opening whistle. The Norwegians agreed to the delay, but Swedish referee Ernst Albihn went ahead and started the match after learning that Hansen had arrived at the stadium in Copenhagen, even though he was not on the pitch. As it turned out, it didn't make any difference. Even with the brief disadvantage in numbers, Denmark's Michael Rohde scored in only the 6th minute. At the half-hour mark, they were up 4-0 with a hat-trick from Rohde's club teammate, Victor Klein (both played for B 93). Rohde then scored another before the break to stretch the lead to 5-0. The second half was even worse for Norway. They managed to avoid another goal until Paul Berth's 68th-minute strike, but then the dam burst as Kjøbenhavns Boldklub forward Poul Nielsen (pictured) rattled off five straight goals in a span of just over ten minutes (70', 74', 76', 78', 80'). A final score from Alf Olsen in the 83rd minute ended the barrage and set the final margin at 12-0. The match remains Norway's biggest defeat. 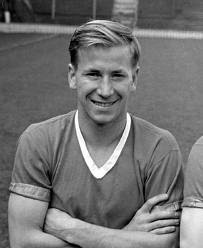 On 6 October 1956, Bobby Charlton started his record-setting Manchester United career in style, scoring a brace on his debut against Charlton Athletic. The striker had been with the club since 1953, rising up through the youth ranks before signing a professional contract in 1954. He was just five days shy of his 19th birthday when manager Matt Busby gave him his inaugural start for the first team. Played before a crowd of 41,439 at Old Trafford, the league contest matched first-place United against Charlton Athletic, who were dead last in the table. So it was a bit shocking when the visitors took the lead midway through the first half. But the lead last only a minute, as forward Johnny Berry quickly equalized for United. Then young Bobby Charlton struck twice before the break (32', 37') to put the hosts up 3-1. They were the first of his record 249 goals for the club in a career that spanned 17 seasons. His 758 appearances (only 2 of which were as a substitute) also set a club record, though that one was broken by current record holder Ryan Giggs in 2008. The match ended as a 4-2 United victory, with United's final goal coming from forward Liam Whelan. Labels: Bobby Charlton, Charlton Athletic FC, Johnny Berry, Liam Whelan, Manchester United F.C. 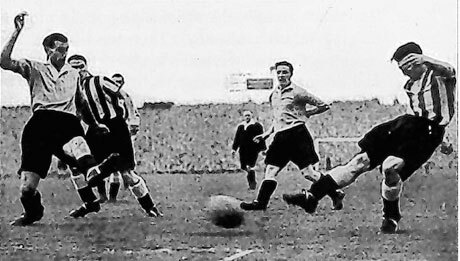 On 5 October 1946, Newcastle beat Newport County 13-0, setting a record margin for both teams. 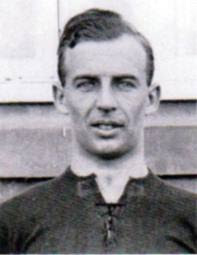 The match, in the ninth week of the Second Division season, was the Newcastle debut of forward Len Shackleton, who had signed four days earlier from Bradford Park Avenue for the substantial fee of £13,000 (just £1,500 under the record at the time). Shackleton had scored 171 goals in 217 league appearances for Bradford and Newcastle were counting on him to provide a spark to their offense. His first contribution to the scoreline, however, was not a goal, but an assist, as he set up center forward Charlie Wayman's opening goal after just five minutes. Wayman netted a first-half hat-trick, but was outdone by Shackleton, who had four by the break as Newcastle led 7-0. Wayman eventually got a fourth, while Shackleton finished with six en route to the final score of 13-0. It matched the scoreline set by Stockport County against Halifax in 1936 and remains a joint English league record (though far short of the 26-0 thrashing delivered to Hyde United by Preston North End in the first round of the FA Cup in October 1887). Despite his scoring prowess, Shackleton, an inveterate prankster, ran afoul of Newcastle's management and the club sold him to Sunderland in February 1948 for the then-record fee of £20,500. He remained there until an ankle injury forced his retirement in 1957. 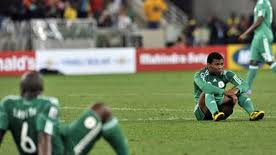 On 4 October 2010, just days before a scheduled African Cup of Nations qualifier, FIFA issued a worldwide ban against Nigeria, suspending them from participating in any football competitions. It was the second such ban received by the team in just over three months. The suspension was the latest in a series of dramatic events that had hounded the team since their inglorious exit from the World Cup where, despite being tipped by many to make a strong run, they finished at the bottom of their first-round group and left having earned just a single point. Little more than a week after their last World Cup match, a 2-2 draw with South Korea, frustrated Nigerian president Goodluck Jonathan issued his own ban, forbidding the team from participating in any international competition for two years, though he soon reconsidered and rescinded the suspension six days later. In August 2010, the Nigerian Football Federation (NFF) held elections despite an alleged court order instructing them to postpone the voting. Shortly afterward, the National Association of Nigerian Footballers filed suit against the new NFF officers and received a Lagos High Court ruling that the elections were null and void. That latest event was the final straw for FIFA, whose rules prohibit government intervention in the affairs of its members. In announcing the ban, FIFA stated that "During the period of suspension, the NFF will not be able to be represented in any regional, continental or international competitions, including at club level, and also not in friendly matches." Following the announcement, the NAFC pledged to drop their challenge against the NFF at an upcoming court hearing. In response, FIFA lifted the ban provisionally, allowing the Super eagles to play their qualifier on 10 October (they lost to Guinea, 1-0).